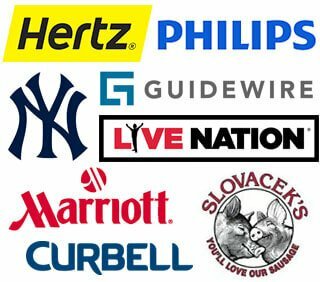 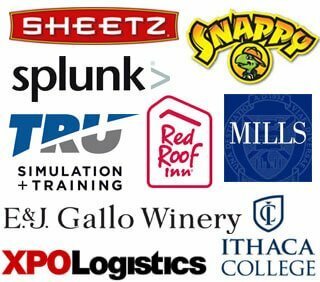 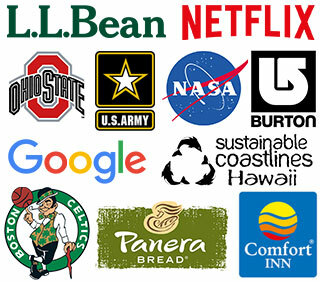 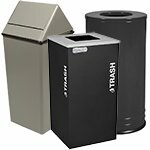 At large hotels and resorts, where waste disposal costs can run into the hundreds of thousands of dollars annually, any effort to increase productivity and reduce costs is welcome. 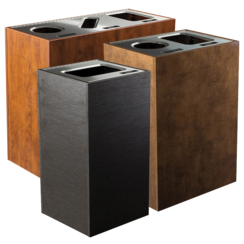 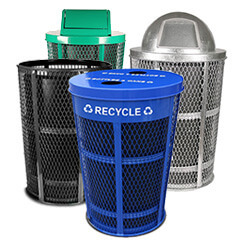 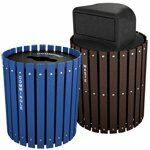 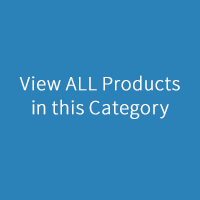 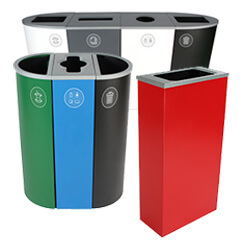 Trashcans Warehouse has the variety to place your hotel trash cans and recycle bins throughout your resort, and we're sure to have a style that matches your decor. 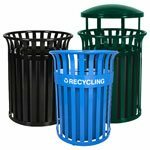 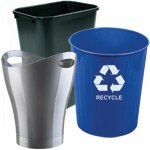 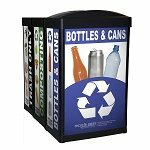 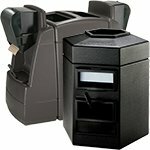 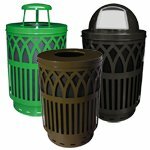 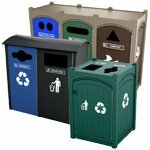 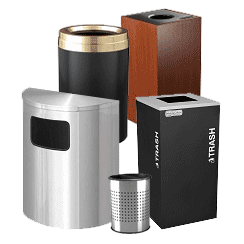 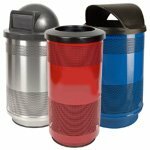 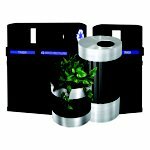 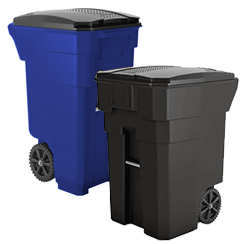 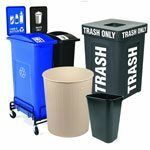 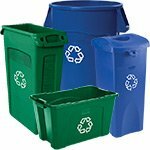 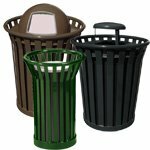 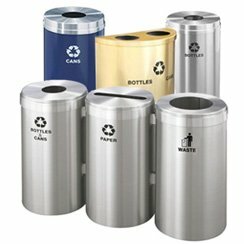 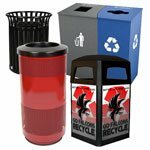 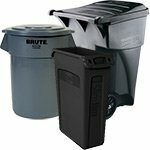 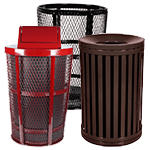 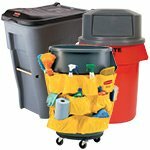 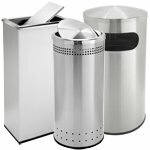 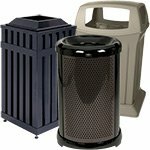 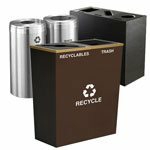 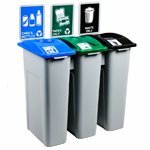 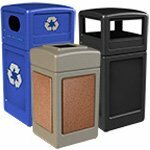 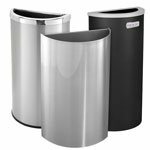 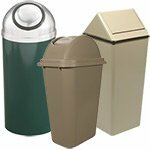 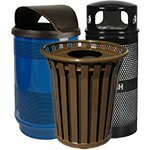 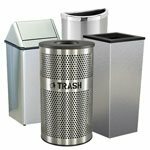 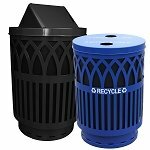 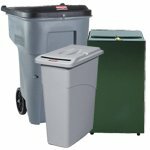 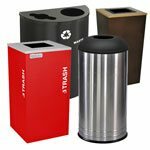 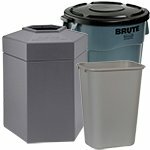 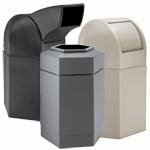 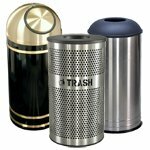 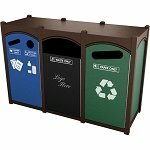 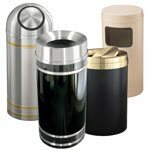 We've got hotel waste bins and recycling containers for lobbies, rooms, dining areas, conference and business centers, and health clubs. 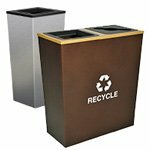 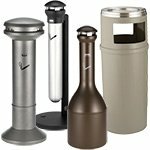 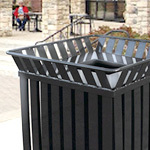 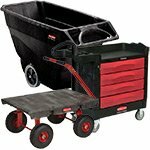 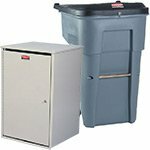 Stainless steel or plastic lumber containers look great as poolside trash cans. 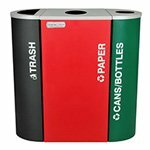 Select the right lids and decals to match your needs - towels in the health club, compost in the kitchen, paper in the Business Center. 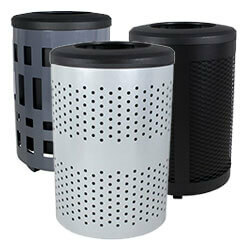 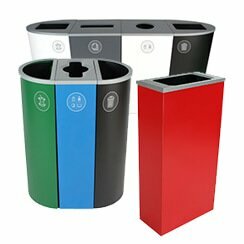 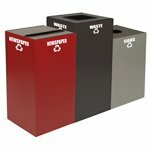 Ask us about putting your logo on lobby trash cans to increase brand awareness.